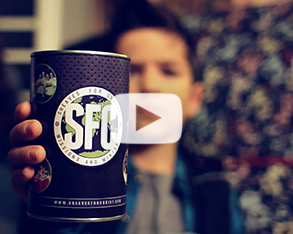 Many young people have discovered their passion for God’s Kingdom by getting personally involved in life-giving SFC fundraising via The Real McCoy Contest. 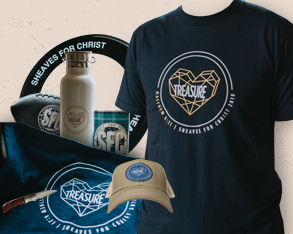 The students in your church can be involved in this exciting contest as we challenge our Apostolic youth to live sacrificially and become a generation of givers. Winners from each district across North America will be flown in to the UPCI World Headquarters in St. Louis, MO, for an exclusive weekend with the executives of the UPCI Youth Ministries. A photo/video shoot: Photos and video taken during this session will be used in UPCI Youth Ministries promotional materials and publications for the next calendar year. Demolition ball: A hybrid game that fuses bumper cars and lacrosse! Fellowship and fun in downtown St Louis at City Museum or Sky Zone, The Arch, and more. Chaperone Information (for minors only): A sponsor (age 21 or older) may accompany winners under the age of 16. If a sponsor accompanies a minor, there is a limit of one sponsor/chaperone/family member per minor. A minor may travel unaccompanied with parent, pastor, and youth president approval. This sponsor will be responsible for his/her own expenses.